Meloudia is your normal Aisha, except one extraordinary quality. So, exactly what's so special about her? She sings with an enchanting voice. This is the story of how she discovered her special talent. 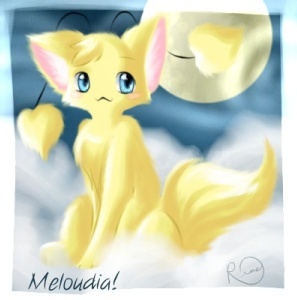 One bright, sunny Neopian day, Meloudia woke up to a start. She just had the strangest dream ever, and she couldn't figure out what it meant. Was it warning her of something terrible that was going to happen? All she could remember was there were lots of...hypnotized petpets? She shook her head, and continued her day, forgetting about the dream. As she got ready to go to the Neopian Marketplace, a strange chill went up her bones. She felt quite spooked, and wondered what it meant. But, again, she shook her head, and forgot about the chill. As she strolled down the Neopian streets, she had the sudden urge to sing. After all, it was quite a beautiful day outside, and it felt like the perfect day to sing. So she sang of beauty, nature, and everything else wonderful. As she continued down the street, she head a strange sound coming from all around her. Thump, thump. Instead of shaking it off, she froze, looking around. A horde of petpets were heading for her! Shocked, she just stood there, her eyes wide with fear. 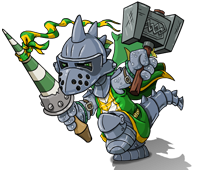 What did these petpets want with her? As these petpets approached, she noticed something peculiar about them...They looked like...yes, they were! They were hypnotized! But by what? She had no time to ponder the thought, however, and decided to run for her life. As she ran, she noticed some sad pets and angry owners, and figured they wanted their petpets back. Even she wanted to give them their petpets back, but she didn't know how. Meloudia woke up to a start. She just had the strangest dream ever, and she couldn't figure out what it meant. Was it warning her of something terrible that was going to happen? All she could remember was there were lots of...hypnotized petpets? She shook her head, and continued her day, forgetting about the dream.